The Winnipeg Jets will say hello to an old friend, as they have reclaimed Marko Dano off waivers from the Colorado Avalanche. The Jets have immediately assigned Dano to the minor leagues, meaning they were the only team to put in a claim. Josh Brown meanwhile, who was on waivers with Dano, has cleared and can be assigned to the Springfield Thunderbirds. Dano, 23, is reaching the end of the line as a top prospect after flaming out of the Columbus Blue Jackets, Chicago Blackhawks and now Avalanche organizations. He’s been given an opportunity at the NHL level with four different franchises now, and has been unable to assert himself with any of them. Still, he’ll return to a Jets organization that is known for its strong development system. 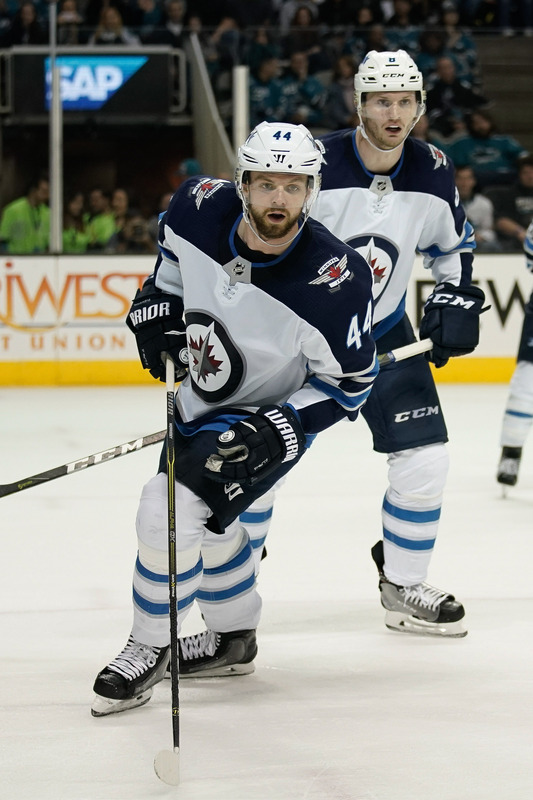 His progress may have been slowed the last few seasons by the lack of consistent playing time, something he’ll surely receive in the minor leagues with the Manitoba Moose. The Moose are now without Kristian Vesalainen for the rest of the season given his recent departure to the KHL, and could use another high-end forward to help them in their pursuit of the Calder Cup. Dano has only actually played in 89 regular season games in the minor leagues since debuting in 2013-14, meaning a full season in the AHL might be exactly what he needs to turn the corner in his career. The Colorado Avalanche have come to the same conclusion that the Winnipeg Jets did earlier this year, that Marko Dano is not ready to be a full-time NHL player. According to Elliotte Friedman of Sportsnet, the Avalanche have placed Dano on waivers today, along with Josh Brown of the Florida Panthers. Brown has been on the season-opening injured reserve list, meaning he’s likely now healthy enough to join the Springfield Thunderbirds of the AHL. Dano, 23, hasn’t been able to live up to his first-round draft pedigree and could now potentially be joining his fifth organization since being selected in 2013. He made the biggest impact with his first team, the Columbus Blue Jackets, but has flamed out in Chicago, Winnipeg and now Colorado. That high pedigree and obvious talents are enough to make someone take a chance on him, but there is little reason to believe he’s going to put it all together at this point. Winnipeg could also reclaim him, which would allow them to send him right to the minor leagues if they are the only team to do so. With Kristian Vesalainen expected to head to the KHL, perhaps they would take another chance on Dano and try to get him ice time in the minor leagues. The young forward carries an $800K one-way contract, but is a restricted free agent again after the season and comes with several years of team control. If he does slip through, he’ll almost certainly be assigned to the Colorado Eagles of the AHL. It’s been six days since winger Marko Dano was claimed by the Colorado Avalanche and the 23-year-old forward finally got an opportunity to practice with the team Sunday, but no one is quite sure when he may make his Avalanche debut, but it could come as early as Monday, according to NHL.com’s Callie Parmele. Dano already has some familiarity with the team, especially with head coach Jared Bednar and assistant coach Nolan Pratt, who both were on the Springfield Falcons coaching staff during the 2013-14 season when Dano made his North American debut in the AHL for the team’s final 10 games. Bednar was promoted to head coach the following year where he had even more time with Dano. Tom Timmermann of the St. Louis Post-Dispatch writes that considering how well the St. Louis Blues defense played on Saturday, he doubts whether the team will put defenseman Jay Bouwmeester back on the ice for Monday’s game against Winnipeg. The veteran was scratched for the first time in his career Saturday as his play hasn’t been up to his usual standards. The Blues put forth one of the best games of the season, defeating the Toronto Maple Leafs 4-1. A new week of NHL action is on the docket, with four games set for tonight. Teams will need to adjust their roster for their next test, and we’ll be right here keeping track of all the minor moves. The Pittsburgh Penguins have just one regulation win through their first four games, but seem to have gotten some good news today. The team has returned Tristan Jarry to the minor leagues after serving as an emergency call-up, and brought up recently waived Derek Grant to fill in. That surely means that Matt Murray is ready to return to action after suffering a concussion recently. Murray backed up Casey DeSmith this weekend, and is key to the Penguins’ hopes this season. Adam Gaudette has indeed been recalled by the Vancouver Canucks to replace Elias Pettersson on the roster, while the young forward deals with a concussion. Gaudette has four points in four games with the Utica Comets of the AHL this season, after signing and making his debut at the end of last year with the Canucks. The fifth-round pick is an exciting prospect for Vancouver, who dominated at the college level with Northeastern. After losing Marko Dano on waivers the Winnipeg Jets have activated Nic Petan from the non-roster list. Petan is still looking to break through and establish himself as a full-time NHL player with the Jets, but can’t seem to find much production thus far in his career. With Dano out of the way there is one less obstacle, but he’ll still need to improve his overall play. The San Jose Sharks have sent Dylan Gambrell back to the AHL, in order to get the young forward on the ice. He hadn’t yet suited up with the Sharks, but will now get another chance to play with the San Jose Barracuda, where he scored three points in his debut this season. Gambrell is a very interesting prospect for the Sharks who was one of the top playmakers in the country at the collegiate level, but is still waiting on his first NHL point. The St. Louis Blues will inject some youth and energy into their lineup, swapping out a veteran grinder for a young power forward. CapFriendly reports that the team has reassigned Chris Thorburn, while recalling Zach Sanford. Thorburn, in his fourteenth season in the NHL, is a serviceable checking line player, but at 35 has slowed down significantly and is no longer much of a two-way threat. He had skated in just one game for the Blues so far this year. Meanwhile, Sanford did not play in the NHL last season, missing most of the year due to injury, but now healthy has looked impressive in training camp and through four games with the AHL’s San Antonio Rampage. In his rookie season with the Blues and Washington Capitals in 2017-18, Sanford scored at a pace comparable to the best seasons of Thorburn’s career and should be a noticeable offensive upgrade over the older forward. Joseph Blandisi has been recalled by the Anaheim Ducks, CapFriendly reports. The former New Jersey Devils prospect played in three games for the Ducks last season, but hopes to stick around longer this year. Blandisi notched two assists in his first three games with the AHL’s San Diego Gulls this season. It seemed likely that Marko Dano would be claimed by some team in the NHL after he was waived by the Winnipeg Jets yesterday, and this time it was the Colorado Avalanche with the winning claim. The Avalanche will add Dano to their young group and hope he can start to live up to the high potential he’s shown in flashes throughout his career. Today’s waivers include only Stephen Gionta of the New York Islanders after he was signed this weekend, while Alex Biega has cleared and can be sent to the minor leagues. Dano, 23, was a first-round pick of the Columbus Blue Jackets in 2013, but will now be with his fourth NHL organization. Traded first as part of the package that brought Brandon Saad to the Blue Jackets, he was then flipped to the Jets in a package for Andrew Ladd. In Winnipeg he failed to make much of an impact, registering just 22 points in 82 games while sitting in the press box or the injury room for most of his time there. He’ll try to change that in Colorado, where there is a bigger opportunity given the team’s less polished forward group. Colorado now has ten forwards on the roster age 25 or under, and only three players on the whole roster—Carl Soderberg, Erik Johnson and Semyon Varlamov—who have had their thirtieth birthday. That young core surprised the entire league last season when they made the playoffs, and are off to a fine start with three commanding wins in their first five games. Dano still has the potential to be a key player in that group, but will have to quickly show his ability and prove that he deserves a long-term spot with the club. On a one-year, $800K contract this season, if he fails to crack the lineup on a regular basis there may be reason to not extend him a qualifying offer this summer given his arbitration rights. The Winnipeg Jets have locked up one of their depth defensemen, signing Tucker Poolman to a three-year contract. The deal will carry an average annual value of $775K and take Poolman right through to unrestricted free agency in 2021. The team has also re-signed Marko Dano to a one-year $800K contract, crossing out another one of their arbitration eligible restricted free agents. Dano was scheduled for an arbitration hearing on July 30th, but will now not need to travel to Toronto for the meeting. Though Poolman and Dano both had to get new contracts, the Jets still have a remarkable number of restricted free agents left to sign this summer. Josh Morrissey, Nicolas Kerdiles, J.C. Lipon, Nic Petan and Eric Comrie are all still sitting without contracts. None of those four are scheduled for arbitration though, giving the team some respite from the ticking clock that the hearings brought. 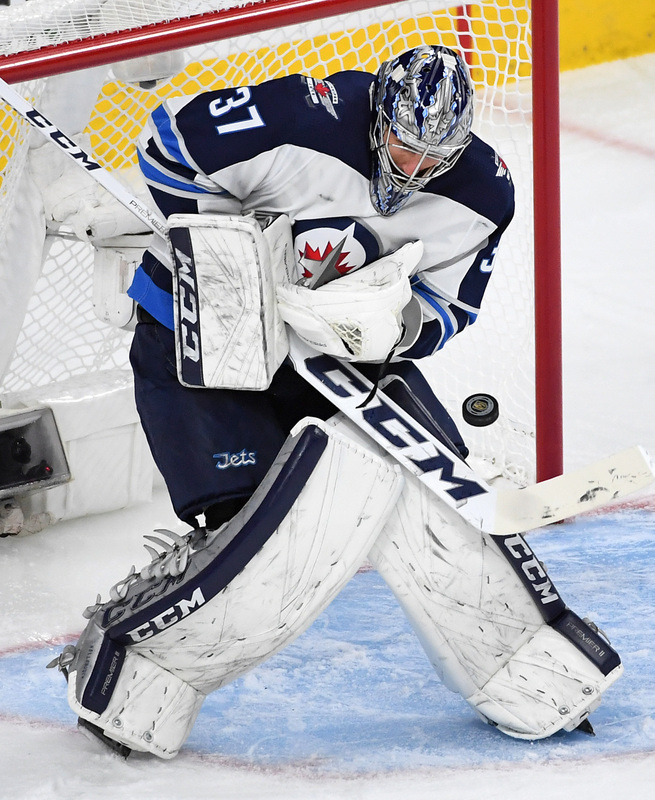 The 25-year old Poolman only played in 24 games with the Jets this season, but also wasn’t given the opportunity to develop in the minor leagues. The former University of North Dakota standout served as the extra man on many nights, something that he may have to suffer through again in 2018-19. When Morrissey is signed, the Jets will have eight defensemen signed to one-way contracts, with Poolman earning the lowest amount of the group. Perhaps he’s fine with the role he’s been given though, as a three-year deal is longer than many expected. It actually buys out a year of unrestricted free agency, but gives Poolman barely a raise on the minimum NHL salary. For Dano, this may be one of his last chances to prove that he’s an NHL regular. After being selected in the first round by the Columbus Blue Jackets five years ago, Dano has failed to secure a full-time spot in three different organizations and played only 23 games for the Jets last season. He’ll turn 24 this November and with 45 points in 130 career games, there may not be another one-way contract waiting for him in free agency next summer.